Awakening God’s Answers for YOU! In 1998 when life brought me down to my knees and all I did was pray to die, I remembered that four years prior a highly spiritual man told me I would be bringing through information from God to uplift humanity. In short, I laughed in his face. I just could not conceive how this would be possible. However, I deeply wanted answers from God, and I received them as the words flowed through my mind and I wrote them down with pen and paper. I went from wanting to die to having a whole new lease on life – thrilled – within five minutes! In 2000 I began sharing this simple process. Each person I shared it with also received answers from God/Creator/Source/Higher Self – by whatever name you personally use. God/Source/Higher Self has the answer and EVERY SINGLE SOLUTION YOU NEED waiting for you! It is your birthright to receive the answers. It’s by awakening your sixth sense which is the strongest sense of all. Your sixth sense, once awakened, remains awakened for the rest of your life! You do not need to be sad, you can be extremely happy and still need an answer or solution for any circumstance in your life. This is actually a most simple process. It is definitely the purest, and highest carrying the pinnacle of ethics and integrity that exists on Earth to receive answers directly from God/Source/Higher Self. Twenty years ago this process brought be back to life, THAT is WHY it means so much to me to reach as many people as possible, go over the energy of your writing and bring through the pure truth for you from God. I am personally inviting you to allow me to be your mentor, privately via phone from anywhere in the world. We go one session at a time and in as short as two private sessions, once you have this process down, you’re awakened, and it’s really simple! It is crucial that you have full access to receive every answer and solution you need directly from God/Source/Higher Self. You will never again need to go to other people for advice! I want you to be awakened and authentically empowered! This is my mission in life and this process has reached millions of people spanning 191 countries. It has even been featured in The Times of India from the release of my book If God Hears Me, I WANT AN ANSWER! Perhaps you have read the book, and may have received answers that you wrote down, but you may feel unsure if it’s really coming from God/Source/Higher Self or from your own intellect. In ONE session I go over the energy of your writing. I will let you know if all of your information came through you, or if even one word came from your own intellect. The energy changes like going from sunshine to cool rain, and I feel it. It’s time to stop wondering about the best thing to do or say. It is time to Awaken God’s Answers for YOU! Tuition is $75 US per one 30 Minute private phone session. There are a plethora of letters from people globally about this service, along with the integrity, honesty, and purity behind it. I do not know how much longer I will be providing this service, however, I am here for you NOW and I am certain that you will share this process with others as this has spread by word of mouth to people spanning 191 countries – it is THAT EFFECTIVE. Fully secure registration is processed via PayPal. Upon approval you will receive a private email reply to schedule your private session. I look forward to being of the most positive, ethical and life changing service to you from the bottom of my heart. Simply click on the Secure Private Consultation Payment button below and let’s get you awakened and empowered for the rest of your life. Here is the link to another testimony of this pure work that saved someone from suicide and changed his life! 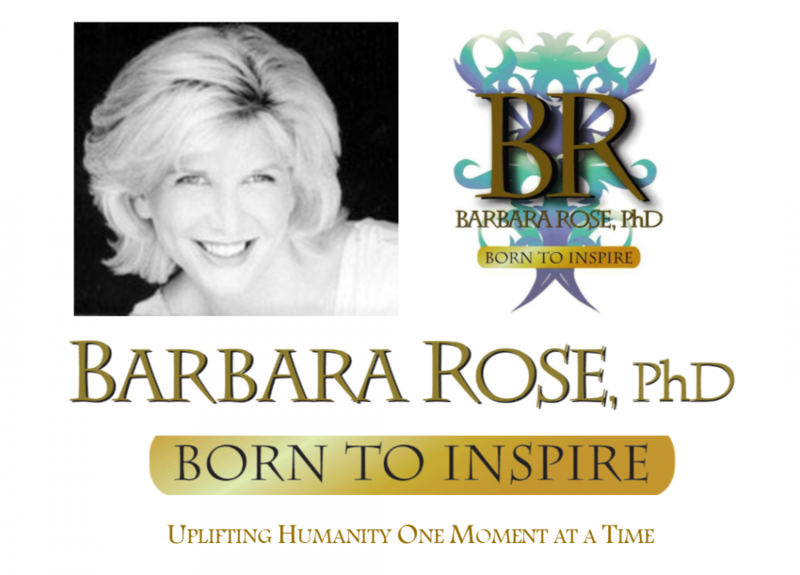 Since 2001 Dr. Barbara Rose has provided this service to people from all walks of life, countries and cultures. Her service has helped Government Leaders, Ministers, Doctors, Celebrities, Lawyers, NASA Scientists, Sports Athletes, Rock Star Musicians, Feature Film and Television Talent, Teachers, Stay at home Parents, Priests, University Heads, World Leaders, Royalty, Life Coaches, Artists, and more. Click here to View what people from across the globe share about this service from the bottom of their hearts. All letters are pure and authentic.